Benjamin Werner’s latest exhibition In Bloom is an adrenalin rush of pixelated colour, light and darkness. So much of his work of the last fifteen years has been about the urban landscape, and while this remains a touchstone, now the presence of the forest, a shadowy representation of the natural environment, stalks the cityscape. 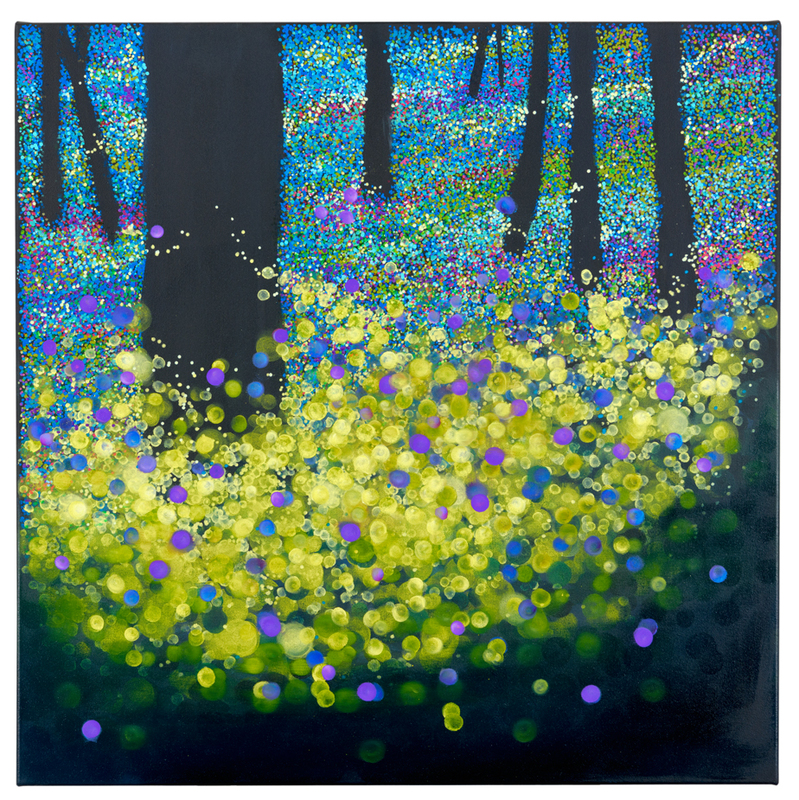 In these paintings, a remote vantage point screens the city with nature, or the natural – fireflies transformed into blurry circles of colourful light – in dark interior forests exclude the city altogether. The uber-urbane Werner calls on a thick richness of artistic connections, awareness and influences from all over the globe as he continues his painterly exploration of crystallised light and energy. Yet these vignettes have travelled a long way from observation. They evoke an increasingly urgent debate about human impact on the climate, yet their seductive aesthetic begs parallels to the lure of technologies that continue to prove so environmentally destructive.